Security International Fair of Bogota E + S + S (ESS) is the largest security exhibition in Colombia, exhibitors and security professionals participating in the ESS. products with hybrid biometric verification techniques as the core, which have been one of the major highlight in the event. access control, video surveillance, and entrance security inspection etc., which have attracted numerous security professionals to our booth for further visits. 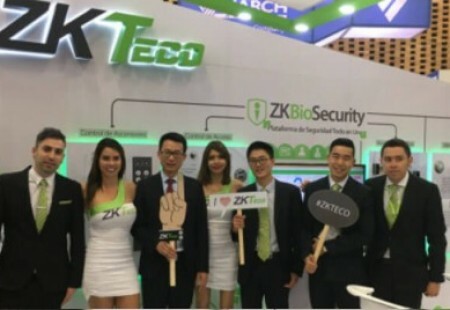 and Ms. Dong the Chief of Staff of the Chinese Embassy in Colombia have visit ZKTeco’s booth, and we also had business friends with great achievements in Colombia to visit us. We have gained a lot in the ESS and has displayed a better ZKTeco to the world, a pioneering ZKTeco with unlimited prospects.